Matt signed this photo for Lauren Wells when she was 11 years of age. He started coaching Lauren three years later. Photo: Supplied. Sports psychologists have long debated how to derive the best results from athletes, some of whom struggle under the weight of pressure, while others thrive. There has also been a focus on athletes virtually training full time, with little else to think about but their performance. At times it can become all-consuming with athletes thinking about training and performance and little else, with stress contributing to poor performance. In the case of champion Canberra 400 metres hurdler Lauren Wells, it would appear as though less is more as she prepares for the 2019 Australian Track and Field titles in Sydney. 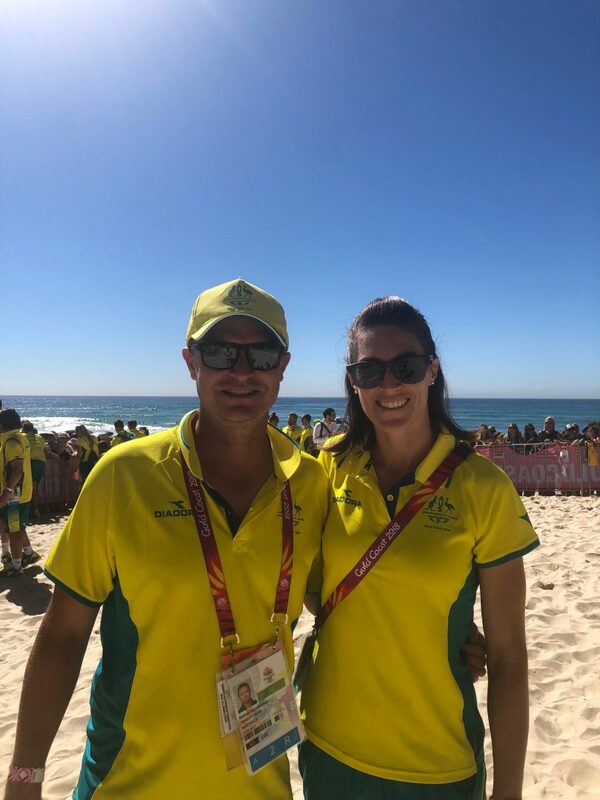 After the 2018 Commonwealth Games, Lauren stepped back from the intensity of six track sessions for a week to re-prioritise with the focus on working full-time as a school teacher. Track and Field became very much secondary. She continued training with long-time coach Matt Beckenham, albeit with a much reduced workload. 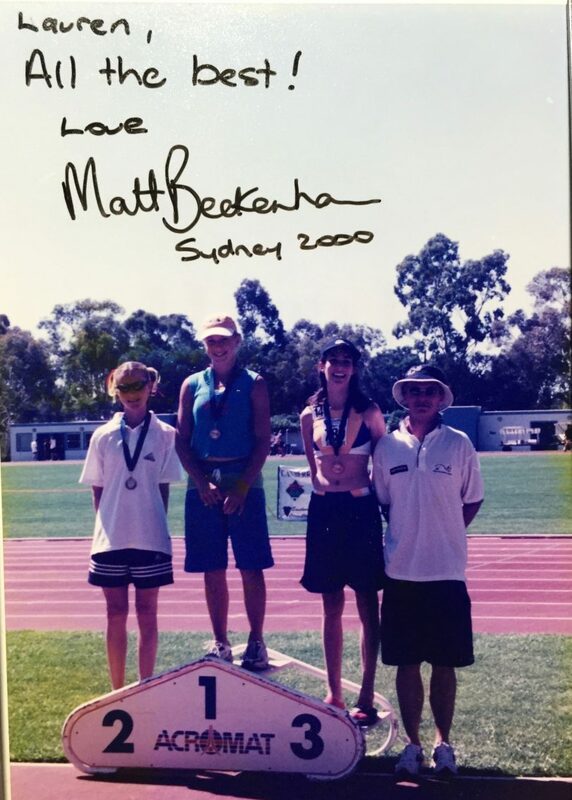 Her initial aspirations were to keep fit and compete in events such as the Stawell Easter Gift. Lauren and Matt. Photo: Supplied. Beckenham, who has proven to be a coach of significant stature, has a proven track record in managing workloads and expectations, resulting in major achievements on the national stage. He gave Lauren space to decide on her training sessions with the door always open to a greater workload. The change in mindset, with a more relaxed approach, has seen her perform as well as she has ever done through her career. Gradually she has increased her training workload as the sheer enjoyment of training became apparent. In January in her return to competition, Lauren recorded a World Championship qualifier in the 400 metres hurdles. She has also recorded personal bests in the 400 metres on the track, her best time over this distance since 2012. There has also been a personal best in the 200 metres. So does she dare to dream? Lauren heads into the Australian Championships seeking to win her 12th national title in the 400 hurdles. Beyond that, it is a day-to-day proposition. The World Championships and next year’s Tokyo Olympics beckon, but she is in no rush to commit herself. She has little to prove having competed at two Olympics, three Commonwealth Games, and numerous World Championships. It would appear as though that may be the secret to her recent success with less focus on making teams and qualifying. Sport tends to create its own pressures when you are living in the bubble of training and competing. The smaller issues become overwhelming. Lauren has shown that sometimes performance can improve if there is balance to life.